Palantir Technologies, the “big data” miner that the counts the CIA and the FBI among its clients, is poised to announce a new round of funding that will value the company at roughly $9 billion, according a person familiar with the matter. In a securities filing Thursday, Palantir is expected to disclose that it has raised $58 million in the current funding round, the person familiar with the matter said. The person said Palantir could expand the round to as much as $100 million. The names of investors could not be learned. With the new funds, Palantir has now raised roughly $650 million since its founding in 2004. The valuation is a 50% increase from September, when Palantir was valued at $6 billion. 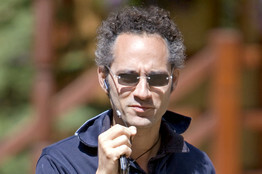 Palantir disclosed in September it had completed a funding round that raised $196.5 million. Palantir’s employee ranks have been growing as well, to 1,200, from 700 a year ago. Most employees are software engineers, tasked with writing code that can digest vast pools of data and quickly connect dots that would take people months or years to decipher. The software has been a hit with intelligence agencies like the CIA, investigative agencies like the FBI, federal prosecutors, private investigators and others. Lately, Palantir has been making a big push into the private sector, which has contributed to its growth and interest from investors. The company’s largest shareholder is PayPal co-founder Peter Thiel, who was also an early investor in Facebook . Thiel sought to apply PayPal’s anti-fraud software to fight terrorism, and he bankrolled the company with an initial investment of $30 million from him and his venture-capital fund. Palantir also received funding from In-Q-Tel, a non-profit venture-capital firm established by the CIA, which helped the company gain the interest and trust of intelligence analysts. For the latest news and analysis, follow @wsjd.